Amazon will release a portable version of its Echo desktop assistant within weeks, aiming to solidify its position in the growing connected-device space. The new model, codenamed ‘Fox,’ is similar in size to a beer can, sources have told the Wall Street Journal. 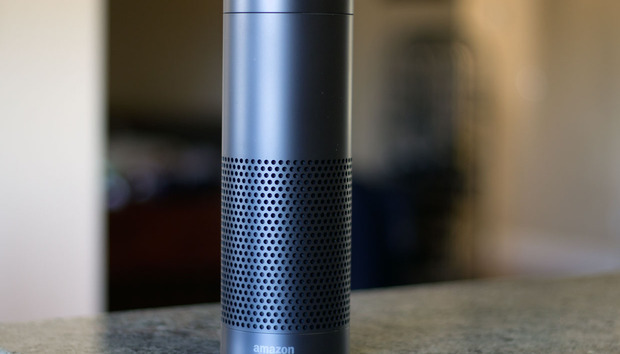 Although the WSJ’s sources did not disclose specific pricing, Fox is expected to cost less than the $180 Echo. It will also be battery-powered and respond to commands by push-button, similar to how Siri works on iOS devices. Otherwise it appears Fox retains many of Echo’s features, just in a smaller form factor. That is a smart plan, considering the overwhelmingly positive reviews the Echo has received. In our own evaluation, we described it as the best voice-controlled product in its price range, and that users would be tempted to buy more than one so as to set them up in different rooms. Despite the Echo’s success, a lot of questions remain surrounding Fox. For example, how does it connect? A good guess would be some kind of tethering to a smartphone or tablet with a data connection via Bluetooth. Echo operates via Wi-Fi, but with the Fox being portable, Wi-Fi connectivity is useless outside of your home network or a hotspot. Another question is its usefulness. Echo gets high marks for its capabilities as a connected-home hub: Fox doesn’t seem like it's intended for such a use case. And with Siri, Cortana, and Google Now, is there even room for yet another voice-controlled assistant in portable form? I’d argue these three are doing a fine job on their own. Why this matters: News of a second Echo model suggests Amazon has found a substantial market for its high-tech speaker. Considering Beats Pill+ sets you back $230, a miniature Amazon Echo for a fraction of that price sounds attractive.